This site is completely ad-free and therefore depends on your donation. Runs Photoshop Auto Blend Layers without creating a visible 360° seam. Enclosed actions can be put into a droplet, which can be used as "viewer" in PTGui. Auto Blend 360 doubles the canvas width for all layers and runs photoshop Auto Blend Layers. Processed layers are merged to one and the result is cropped to the previous width. If there is a layer "Blended panorama" (blended by PTGui) it is preserved as "PTGui blended panorama", the auto blend result is named "Auto blended panorama". Requires photoshop CS3 or higher. 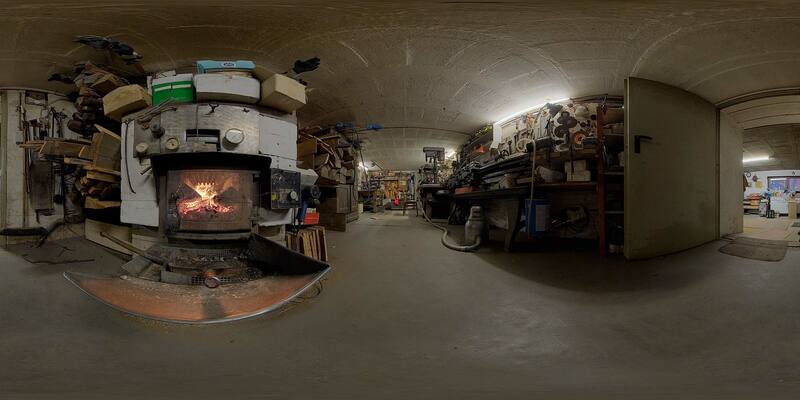 Contains two scripts for easier editing of 360° panoramas with multiple layers. Shift Half Width moves all layers and masks of a panorama by half the width, so that the left and right edges join in the center of the image. Double Width doubles the width of all layers and masks allowing to work beyond the right and left edges. Version 0.3, March 2019: Bug if ruler units are not pixel fixed. Executes a photoshop action for each (selected) layer of a photoshop document. The action can be chosen from all actions in the action palette, either per dialog or by editing the source file. Automates tasks that need to be executed for each layer of a document. Caution! The script doesn't check whether the action can be run for a given layer! It should be known how to record actions. Exports layers from a photoshop document to single TIFF files. layer masks are saved as Alpha channel. Color and brightness adjustment layers - no matter whether global or attached to single layers - are applied to each file prior to saving. Output filenames are created automatically. Purpose is to dismantle a multi layer panorama in it's single images after editing masks and / or colors in order to pass them to Enblend. Purpose and function of Enblend should be known if the action is used for that. Template for PTGui that extracts a 120°x120° sized rectilinear image (zenith or nadir) from an equirectangular panorama. Template to re-insert the extracted image into the original equirectangular panorama. Both batchable. Extracts GPS data from an image and calls wolfram alpha in order to calculate the sun position. Including shell script for Mac & Linux (many thanks to Florian Knorn from pano-guru). Purpose is to get the heading of the panorama f.e. at 360cities. Waits until a program specified in the command line has terminated, then shuts down computer. Saves energy by switching off computer after long jobs. The batch files can be copied into any folder. I recommend to place links on the desktop, in start menu or in any folder and edit the command line in the link properties. Use PSList from the command line to determinate the correct process name. is called to cancel the count down of pshutdown. To stop shutdown_if_terminates before the count down starts simply close the command window. © Erik Krause 2002 - 2019 All images on this pages are protected by copyright law. Any use - even pivate - requieres written permission by the author! The IP address in the server logs is anonymized.